Playing not unlike “Exit Through the Gift Shop” or “Resurrect Dead,” “The Institute” is a mindf**k. How much of it is real? How much is staged? What’s the purpose of the real-life role-playing game in the first place? I don’t know the answers to any of these questions but I thoroughly enjoyed “The Institute” nonetheless or, to be honest, more so because of the willingness on the part of the filmmakers to embrace confusion instead of providing facts. Flyers went up around San Francisco that led people to a non-descript office for The Jejune Institute, where they sat and watched an induction video like they were joining the Dharma Initiative. Being warned not to open the drawer in the desk next to them enough times caused new players to, of course, open the drawer, and the game began. And what a game. Clues sent people on scavenger hunts around town that eventually told a story of a missing girl and prophesized a new way of looking at the world. People would pick up phones, say a key word, and a mini flash mob of dancers would erupt. The game even contains its own vocabulary, adding weight to words & phrases like “nonchalance,” “unexpected novelty,” and “the concept of elsewhere.” When a player says, without much irony, “Then the Sasquatch gave me the transcript,” you know you’re DEEP down the rabbit hole. That seems to be the overall purpose of “The Institute.” It’s a movie that I think is designed to recreate the rabbit hole of the game itself. I can’t tell when reality ends and the game begins. Is the missing girl that seems to be the focus of the game real? A player turns detective and breaks into a basement. Or did he? Is he an actor? I don’t f**king know and I think that’s the point. “The Institute” becomes as much of a mindf**k as the game itself, which is quite an accomplishment. 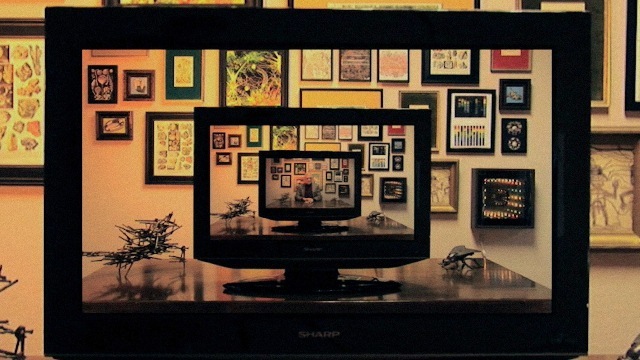 The ARG itself is defined as something in which fiction and reality are supposed to blur so how could the film about it be any different? When you start asking why that scene would be filmed or why that police station recording sounds scripted, you’re missing the point. Just give in. The game only worked for the people who played it if they stopped asking questions and went along with what The Jejune Institute offered. Consequently, it is the greatest accomplishment of “The Institute” that it only really works if you do the same. I struggled at first, wondering what was real and how the filmmakers even gained access in the first place (unless some things are staged, there’s no reason for them to be filmed unless director Spencer McCall was in on the whole game from the beginning, which makes the most sense). Then I gave in. I don’t care how much of it is real and how much is nonsense. It’s just a fun, clever film about looking at the world from a different angle. Whether it’s all real, all fake, or some combination of the two, that doesn’t change. It’s the kind of movie people go to Slamdance to see, one that can’t quite be summed up as simply as the films further down the hill in Park City. 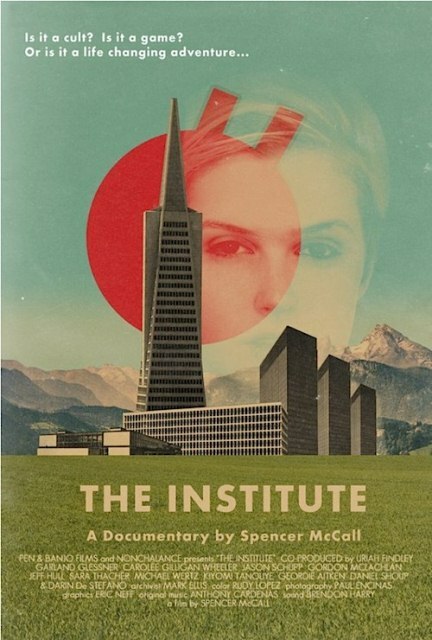 “The Institute” was directed by Spencer McCall and played at the 2013 Slamdance Film Festival.